This is a guest post written by James Adams, a staff writer at a leading UK based print cartridge store where he writes about products such as HP 300XL ink and posts on their design blog about the arts, media and technology. In the wake of the Great Recession, there are countless numbers of people fighting for a limited number of open positions. Employers see their desks littered with tall stacks of resumes all the time anymore. Because of this, employers are most interested in those resumes that make themselves stand out from the others in the pile. Getting an interview for any given job comes down to offering up a powerful, effective resume. Should your resume contain any one of numerous commonly made mistakes, then it will land in the nearest trash can. Watch out for these typically committed eight errors in creating your resume. You should always spell check your resume in the word processing document before you print it out and fax or email it off. Even this is not sufficient, since some misspelled words will get through if they are another word spelled correctly. There is no better spell checker than a good proofread of your final work. Having another pair of eyes check it over is also a sensible idea. Badly chosen words that are poor grammatically are almost as harmful as misspelled words. Employers are certainly keeping score in this category. Employers have been reading resumes all day long, and they are tired. When they come to your resume and see a difficult to read eight or ten point type, they will simply discard it and move on to the next one. Avoid this common pitfall by simply sticking with the recommended appropriate font size of preferably twelve point type. This makes for a readable document. Dates of significant work experience and relevant education should always be included in a resume. When you fail to put them in, it seems like something is wrong. The employer could easily come to the conclusion that you have something to hide, or worse still, that you have made up some of the information. So many people neglect to include a cover letter with a resume. The truth is that a resume should never leave your hands without a specifically tailored cover letter made out to an individual person’s attention. Such a cover letter proves to be your sales piece. It summarizes, highlights, and supports your resume. Resumes that are too cluttered are distracting and unprofessional. Only important information should be included in them. Email addresses are very important. They should be professional sounding, not light and fun. Professionalism should always shine through in your resume. 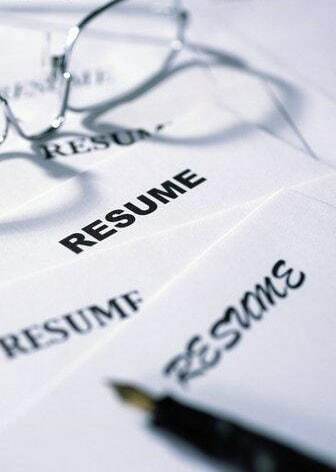 Resumes are intended to be formal documents. This means that there is no proper place for either contractions or abbreviations anywhere in the piece. Words and sentences should be fully spelled out all of the time. It is an easy trap to fall into, overusing a few words in a resume. The same verb should never be utilized to describe different work experiences. Instead, it is always better to choose a range of action verbs in order to demonstrate your various skills. Simply through using varying action verbs in your work experience section, you are able to show off a great deal of knowledge and skills that you have to offer. Resumes should be professionally laid out. On top of this, they need to demonstrate a consistency of layout in the entire document. Margins have to be even one inches on all sides, bottom, and top. Every heading should feature the same amount of spacing between it and the following text. Verbs ought to always be consistent and in the present tense. 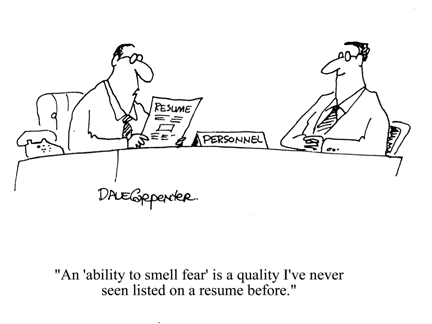 Have you made such mistakes while writing your own resume ?? James is a blogger & much of his time is spent reviewing new hardware like the CB540A. When he gets enough spare time, he enjoys writing posts about art and design on their blog. Nice article. I will not commit any of these 8 mistakes. This is an excellent articles and really lot of good points have been described here. Although I have got job now, but I will share the articles to my freinds. after reading this post now i am feeling as a best professional resume writer. thanks for great helping post. These are some of the more seriously mistakes. Taking resumes and interviewing isn’t my favorite thing and seeing mistakes like this gets them overlooked.